It’s been a while since I’ve been to the Guerlains. I figured a few months worth of a break is a decent time period so I’m heading back slowly with Guerlain’s newest Aqua Allegoria; Jasminora. In Bottle: Clean citrus with a jasmine and soft floral heart. Applied: Sharp green citrus up front that quickly fades into a scrubby clean floral scent. The jasmine is easy to distinguish from the other florals although it is struggling a bit due to the amount of clean white musk that was dumped into this fragrance. The mid-stage is a lovely floral and airy thing. A bit of a wilting daisy when it comes to fragrances but this is an Aqua Allegoria after all. Guerlain’s done jasmine better in some of their other fragrances but this one is a nice departure from their usual. It’s a lighter, more youthful interpretation. I just wish there was more to it than jasmine and clean. The dry down is not too much more complex as the jasmine and florals fade away leaving you with this generic clean smell on your skin. Extra: I’m not overly impressed with Jasminora. It suffers from that “Doesn’t smell like a Guerlain” syndrome. But one could argue that most Aqua Allegorias suffer from that. Still, Jasminora is easy to wear and easy to like. She’s not interesting at all and she’s a bit of a disappointment from one of my favorite fragrance houses. Design: Bottled in a similar way as other Aqua Allegorias, in a pseudo-bee bottle flacon with a hive cage over the top half. Although these aren’t quite the full deal bee bottles, I bet they’d look beautiful all lined up in a row. 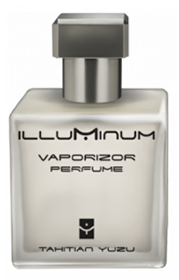 Notes: Bergamot, cyclamen, galbanum, lily of the valley, freesia, jasmine, musk, amber. Ultimately, I looked at Jasminora and compared it to Thierry Mugler’s Alien. And I know, it’s a bit unfair. Alien is a powerhouse jasmine and Jasminora is an approachable jasmine. There’s just something weak about Jasminora that makes me say you’re better off going light with Alien. 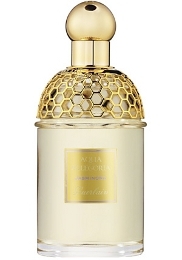 Reviewed in This Post: Jasminora, 2011, Eau de Toilette. Ahh, Terre d’Hermes. People could write poetry about you–and sometimes they weren’t poets to begin with. 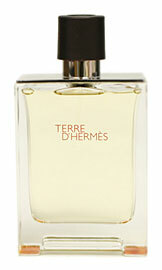 The truth about Terre d’Hermes is that it’s a very, very good masculine fragrance. There few men’s fragrances that would outright agree to being truly good masculine fragrances and Terre d’Hermes just happens to be one of them. In Bottle: Beautiful sweet and mild citrus mingled with a very light woodsy note. Applied: Upon application Terre d’Hermes wastes no time letting you know it’s a citrus and that it’s sweet and charming. I get the citrus, slightly sharp but not overdone. I get lots of orange with a full-bodied spice that mingles so well with the citrus that you could have sworn oranges were always this spicy. 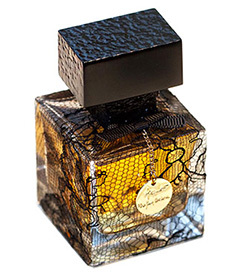 Terre d’Hermes is a wonderfully well-blended concoction, it’s billed as masculine but I could see a woman wearing this too. The opener of Terre d’Hermes blends into the mid stage with a lighter, greener, fragrance that slowly introduces the wood notes along with that lingering spice from the end of the opening. As Terre d’Hermes comes home in the base, it rounds off with a not overdone, well tempered, well meaning, and well used cedar wood. Extra: Composed by Jean-Claude Ellena in 2006, Terre d’Hermes has gone on to become one of those esteemed recent men’s fragrances. It blows the water out of Bleu de Chanel anyway. Design: Terre d’Hermes comes in two concentrations. Eau de Toilette and Parfum. The bottle is the classic rectangle glass bottle with a couple of orange dashes at the bottom that look like the bottle’s feet that I think is–for lack of a better word–cute. There’s nothing cute about this fragrance otherwise. It’s grown-up, lovely, lauded and you would be hard pressed to go wrong with it or its aesthetics. Notes: Mineral, grapefruit, rose, pepper, geranium, cedar, benzoin, patchouli, vetiver. Another perfume that doesn’t blast cedar up my nose? Something so rare sometimes that I fall to my knees and sob when I find another. Reviewed in This Post: Terre d’Hermes, 2008, Eau de Toilette. Eau de Sud is a true, well done, citrus centered fragrance with a beautiful and interesting dry down. It was released in 1995 and is–unjustly–underrated. But if you do happen to be looking for a competent fresh citrus, look past the Light Blues and Versences and get yourself a bit of this stuff. In Bottle: Herbal and grapefruity with fresh green notes. 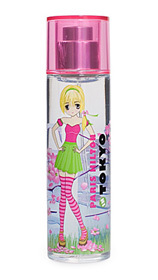 It’s a (refreshing and much needed) far cry from the citrus explosion of other perfumes based in this category. Applied: Opens with a beautiful bouquet of herbal grapefruit greenness. 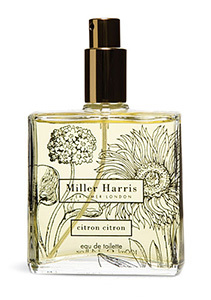 The grapefruit used in this fragrance is a tart one, similar to Guerlain’s Aqua Allegoria Pamplelune. The mid-stage is punctuated with an odd but entirely pleasant saltiness as the grapefruit lingers back behind a pleasant mix of spicy peppermint, basil, thyme and lemon verbena. Eau de Sud’s relatively masculine composition might turn away a few more scent gender conscious ladies but it is a lovely fragrance that I think anyone can use because before it is masculine, it is fresh and classic smelling. You get the classic scent of this on the dry down where the fragrance takes a woodsy and herbal turn before falling off completely. 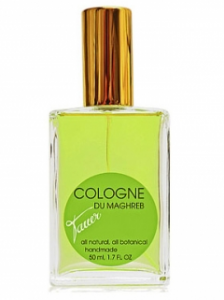 Extra: Eau de Sud’s more popular older sister, Eau d’Hadrien is a lighter more citrus-based fragrance. Design: Eau de Sud is bottled in Annick Goutal’s iconic ribbed glass bottle with the lovely gold metal cap and an adorable gold ribbon that carries the fragrance’s name tag. It should be noted, if you happen to be interested in this kind of thing, that all of Annick Goutal’s ribbed glass bottles have removable sprayers. Though I would advise that you keep the sprayer on so long as there’s juice in the bottle as Annick Goutals are known to fade a bit quicker than other fragrances. Notes: Bergamot, tangerine, grapefruit, key lime, verbena, peppermint, basil, patchouli, oakmoss, jasmine, vetiver. You can get Annick Goutal fragrances in three different types of bottles. Not all of them are available in all bottle types but there is the square variety, the ribbed variety (shown above), and the butterfly bottle variety. Reviewed in This Post: Eau de Sud, 2000, Eau de Toilette.